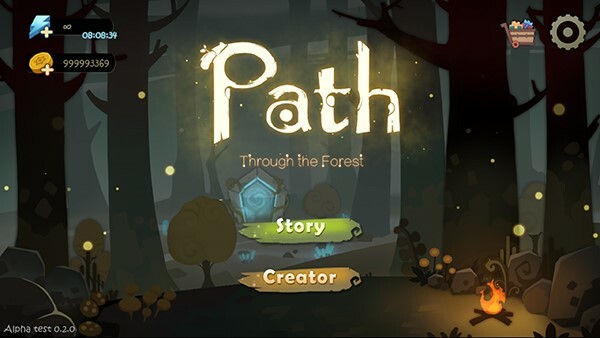 “Path Through the Forest” is a platforming puzzle game that originated from the idea of creating a platformer but without the need for precision jumping. Of course, a lot of players enjoy more frantic and technical gameplay, but at our core, we want to create games that can be played by an audience of all ages and skill levels. 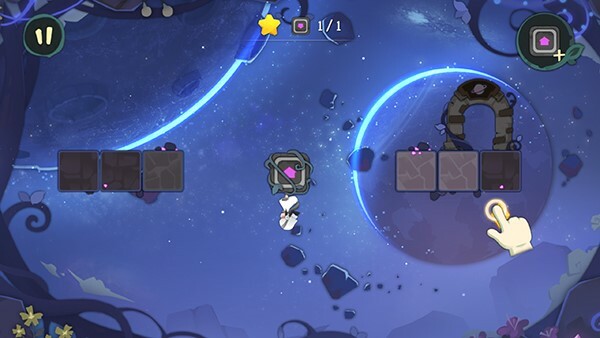 So we went through several iterations of this design principle for this game before deciding on a puzzle game based on Runestones with unique effects and clever navigation through the levels. The game contains two main game modes: Story Mode and Creation Mode. In Story mode, players travel with Amy on a quest to discover what lies beyond the forest in a subdued and philosophical journey. 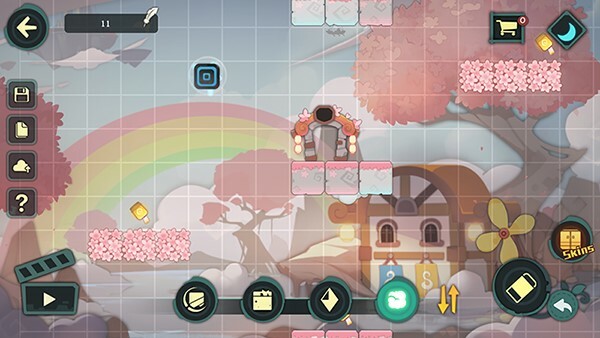 After mastering the various gameplay features, players can use the Creation Mode to create their own levels and share them online to challenge other players! 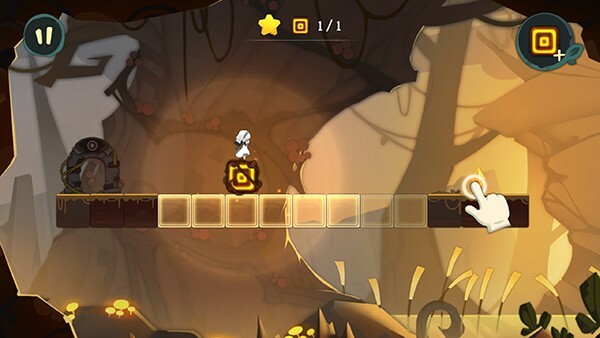 Each level features scattered crystals, an exit, and a Runestone for the player to use. Other obstacles may be present depending on the level. The goal for the player is to use the Runestones to navigate through the level, collect all the crystals, and then pass through the exit! The Runestones each possess a different ability, depending on the level type (as separated according to the Story Mode’s chapters), that completely changes the way the game is played. For example, the Illumination Runestone lights up hidden blocks and the Movement Runestone causes the entire level to shift around! Although Amy will automatically perform any tricky jumps that she can manage, the puzzles presented in “Path Through the Forest” still require cunning and foresight to complete. The Runestones can be moved freely around the level while the player decides where to place it, but once Amy steps on it, the Runestone becomes entangled in vines! Obtaining a gold star for a level requires using a limited number of Runestones so careful consideration must be taken when deciding when to jump onto the Runestone and where to place it. Otherwise, you might find yourself unable to get back! Think our levels were too easy? Why not try your hand at creating a few of your own! The powerful built-in editor allows you to create levels and then upload them online. Gold earned playing the game can be used to purchase new skins for the game objects and personalize your levels! Similarly, you can go online to search out new challenges using different search parameters. We hope to continue supporting the game with content updates and game events! This article was Published by Edamame Reviews, Written by The Ajoy Lab Team.